Post-fire forest regeneration is crucial to forest management. Three different restoration treatments including natural regeneration (NR), artificial regeneration (AR), and artificial promotion (AP), were adopted in the Greater Hinggan Mountain area of China after a serious fire occurred on May 6, 1987. NR is a control treatment where recovery occurs naturally without intervention, AR comprises salvage logging followed by planting, while AP includes regeneration by removing dead trees, weeding, and tidying to promote seed germination. In this study, the objective was to detect and compare the effects of the three restoration treatments using radar indices derived from ALOS/PALSAR data. Four time-series SAR images were pre-processed to acquire the backscattering coefficients. Then the coefficients in both HH and HV polarization were examined and two radar vegetation indices were derived and evaluated, based on which, the post-fire forest dynamics under different restoration treatments were detected and compared. 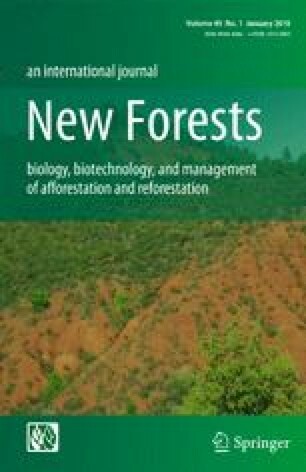 The results showed that the forests under NR presented a completely different recovery trajectory compared to those under the other two treatments. This difference could be characterized by both the backscattering intensity in HH and HV polarization and two radar indices. This study indicated the effects of different restoration treatments, as well as demonstrated the applicability and efficiency of radar remote sensing techniques in forest monitoring and management. Houzhi Jiang contributed equally to this work and should be considered as a co-first author. The work in this paper was financially supported by the National Key Research and Development Program of China (No. 2016YFB0501505), the Natural Science Foundation of China (No. 41601368) and the Japanese Government Monbukagakusho (MEXT) Scholarship (Grant No. 113378). The authors are grateful to Professor Shilei Lu from the Institute of Remote Sensing and Digital Earth, Chinese Academy of Sciences, for the guidance and suggestions in designing the technical plan of the sampling design. We express our gratitude to Dr. Zhou Fang, Dr. Haibing Xiang, and Dr. Mingren Huang, as well as the forestry technicians and workers from local forestry bureaus, for their assistance in the field work.